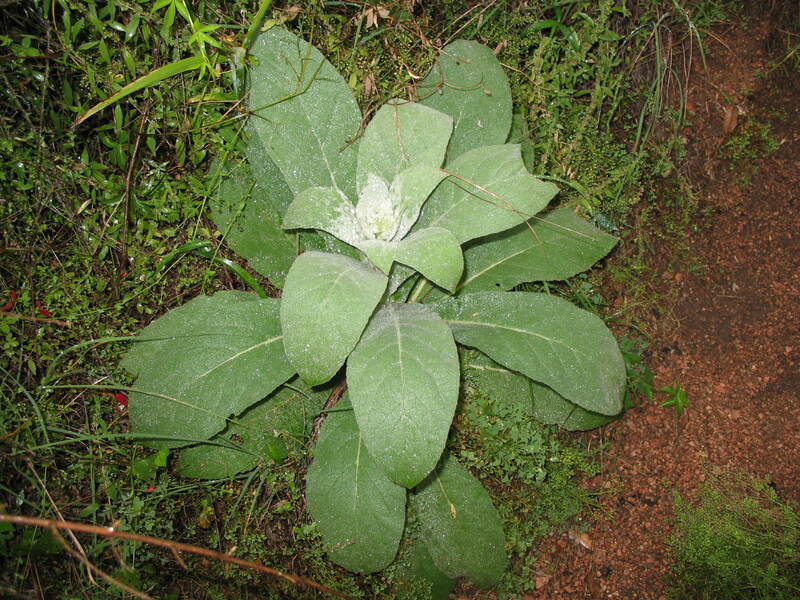 Comments: This perennial is noted for its thick felt-like, velvety gray leaves that are covered with a mass of minute hairs and strong veination. Mature plants send up five foot tall flower stalks with many yellow flowers. Where conditions are favorable it is a prolific self-seeder in full sunlight and with well drained soils. It is reported to have medicinal herbal qualities.